When I began walking for exercise, I realized that it was difficult for me to start because of flat feet. It felt uncomfortable and I had a tough time finding shoes that would accommodate my feet. That’s why I began looking for the best walking shoes for flat feet to help me out! Once I made the right investment for my feet, I was able to use my favorite shoes for a long time without feeling any pain. So if you want to get your own walking shoes for casual wear and exercise, read on! I’ll be reviewing the best walking shoes for flat feet, both for men and women. 3 What Are Flat Feet Anyway? When you first see the Brooks Addiction Walker Shoes, you can immediately see how attractive it looks. It’s the clean-cut style that will make you fall in love with these shoes, offering the sleek style suitable for any outfit. But of course, we’re looking into the way it performs when walking, which is also pretty exceptional! For starters, you’re able to walk even better with these shoes, as it has the excellent support you need for low arches and flat feet. It controls overpronation, which is a common problem for those who have feet conditions, whether walking or standing. These shoes also have the space to accommodate custom orthotics, though it takes some time getting used to. From its wide style down to the good support, this is definitely worth the price. I’ve walked for very long distances with it and have no major complaints! The Brooks Beast edition is definitely a beast, looking very strong and weighted but having lightweight properties to make it easier to walk with. It’s a pretty simple shoe but comes with all the benefits flat footers need. For starters, it’s got that design that looks to be made for athletes, but inside it’s soft and great for walking and casual days. The shoe offers the maximum cushioning and is made for road surfaces, perfect for those who love to walk around the neighborhood or use it for work. It also has the quality materials and seams, which are used for durability and for that extra snug fit. When I began using it, I had to take time breaking into the shoes, but I really felt the softness of its cushioning which had me walk long and without complaints. All in all, a good price if you have the extra bucks to spend on a simple yet very comfortable shoe for the road. I really appreciate the Brooks Addiction Walker Shoes because it has the V-strap design, making it more convenient. 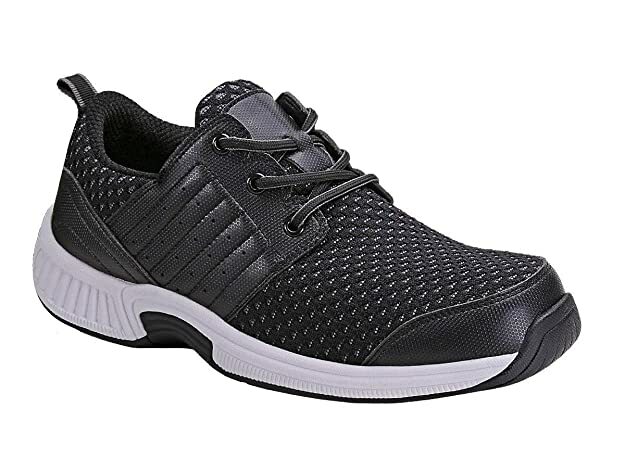 It’s best for those on-the-go or has no time for the lace-up shoes, with the velcro straps really holding tight and not letting go regardless of the intensity of your walk or activity. I also highly appreciate its futuristic design that doesn’t look kiddie or whatnot (given the straps). I do wish they had more color options, though! Besides that, the shoes perform well for flat feet, having the support for low arches and the snug fit to properly control overpronation, a common problem for those with feet conditions. The shoes feel great and I have no complaints, other than the price and color choices. Very convenient design, adequate support, and I’m able to walk properly for long periods of time! New Balance is really known for their quality shoes made for various situations. And one of the best for walking goes to the MW411v2 Walking Shoes. 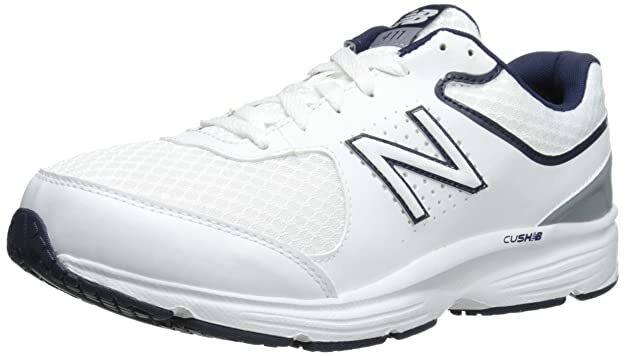 For a show from New Balance, it comes at a good price and with the necessary features to promote comfort and support for those with any foot condition, especially flat footers. These shoes come with a perforated upper and the breathable mesh around the right areas. It feels cool as I use it and my feet don’t sweat or feel stuffy no matter how intense my walks get. Furthermore, it has enough support without the high arch that lessens my flexibility as I walk. I highly recommend these when you’re focusing on a mix of breathability and support for your flat feet. New Balance does it again for the men, with the Suede 928v3 being absolutely perfect for work or exercise. It comes with the excellent and professional design that many will appreciate, also coming in various colors if you want something lighter and according to your preference or needs. As for its features, I like the strong and durable quality it has to it. It’s made with the breathable mesh and rubber sole to last for a long time. It also has that leather and natural cork upper, which adds to its attractive and clean-cut look. The shoe comes with the low arch support and the EVA footbed, which adds comfort and more flexibility as you walk around. All in all, I would highly recommend this as a worker’s shoes for its strength and comfort. For the men who need something totally made for their flat feet (or other feet conditions), then you’ll love the Orthofeet Walking Shoes. These are excellent shoes that have equally amazing orthotic support. It comes with the premium orthotic insole with the right arch support and a cushioning heel pad, which conforms to the shape and weight of your feet. Furthermore, the shoe comes with an ortho-cushion system, with the lightweight insole and air cushioning which adds a bit of spring as you walk without it feeling tough. Each step feels very soft and I’m able to walk anywhere regardless of speed and distance. I can see that this is really the shoe to help lessen the pain but increase your performance as you walk. Whether you’re going for casual walks or brisk ones for exercises, this is a cool shoe to invest in. 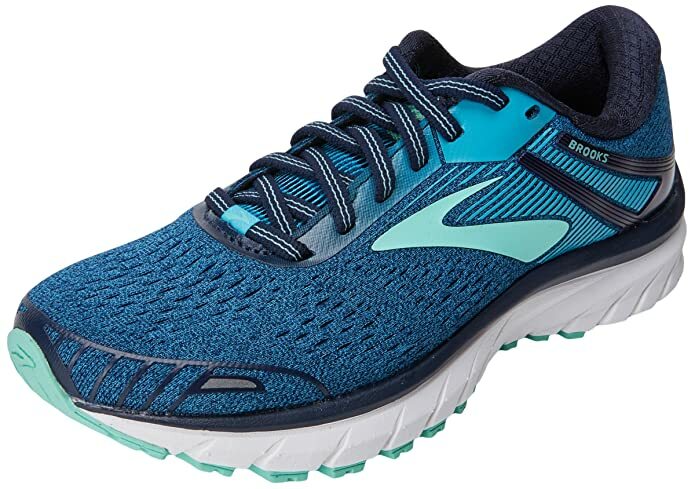 For those who need something practical AND stylish, then you’ll highly appreciate the Brooks Adrenaline GTS. It has EVERYTHING you need in a shoe, especially if you’ve got flat feet. It’s a combination of support, comfort, and the adequate price is what makes it the top of my list! Besides its colors and design, I love that it has a better cushioning than most shoes out there. It comes with the stability and support which reduces overpronation. Plus, the high-energizing cushioning makes it easier to move around and walk for long periods of time without feeling pained or hot. From its great feel and comfortable, durable lining, I believe it’s worth the price and can accommodate flat feet, preventing injuries and the like. I recommend it most for those who sweat easily or live in hot weather for its breathable properties. The TIOSEBON Walking Shoes are definitely some of the most comfortable ones used for work! 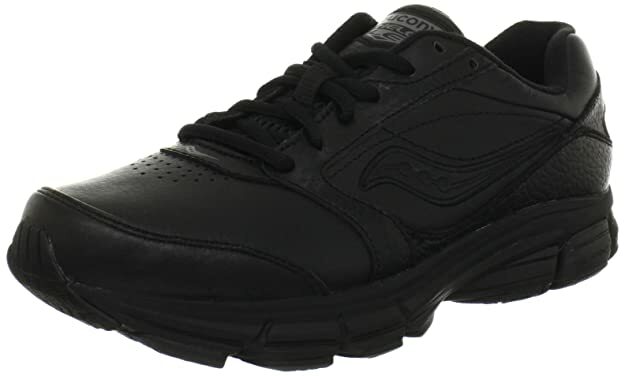 These are exclusively made for those who need comfortable work shoes, but can also be worn for exercise walks. You’ll love how breathable and stylish it is, having the mesh all around the shoes to keep your feet well-ventilated no matter how intense your activity is for the day. Besides its adequate support and lightweight properties, it has a wide toe box and the elastic outsole, which is slip-resistant. With its decent cushioning and quality materials, you can see that it can last for years and still keep performing well with intense activity. I really love the Saucony brand for its comfort and versatility, with the Integrity ST being great for all women. 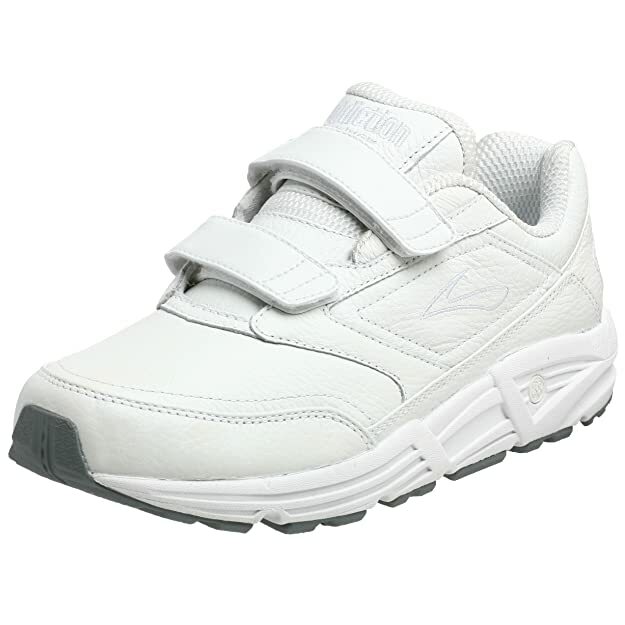 This is a walking shoe with all the comfort and supper you need, all at a more affordable price! What I love about it is that it’s non-marking and made of the padded, durable materials to add comfort too. Besides its pads and cushioning, it has the high-wear soles which are made for intense walks. The wide toe box and extra support accommodate those with flat feet, and it’s true to size, fitting snugly without it being too tight. Overall, you forget if you have any issues with your feet and can walk away! I am in love with the all-white Easy Spirit Punter Athletic Shoe for its design alone. Coming at an affordable price, these are some of the most stylish walking shoes you can invest in today without breaking your wallet. Furthermore, it also provides adequate features that make walking enjoyable. 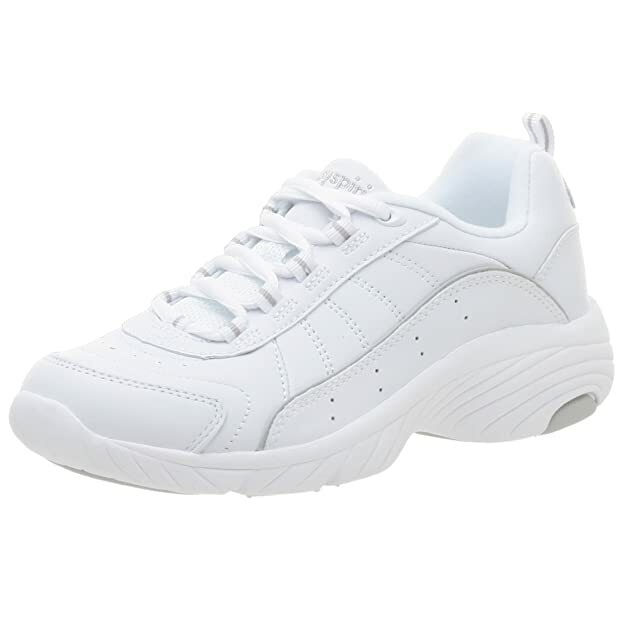 The monochromatic and simple all-white sneaker comes with pads and cushioning, which raises its comfort levels. Furthermore, it has a wide width and arch support, which helps those who have flat feet and other painful feet conditions. I’ve never felt so confident wearing these kinds of shoes, though I have to be wary of staining them! 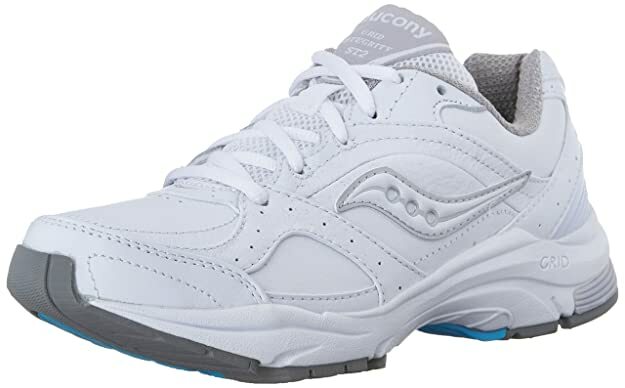 If you want something very simple and made for work while looking stylish, then the Saucony Echelon LE2 Walking Shoe is for you. While I wish it had more color options, you can see that it’s designed and built to be a worker’s shoe, with it looking strong yet lightweight. As for its inside, it’s extremely plush and made of full-grain leather, though still easy to clean. All in all, a good buy, though not the most supportive shoe, reviewed. 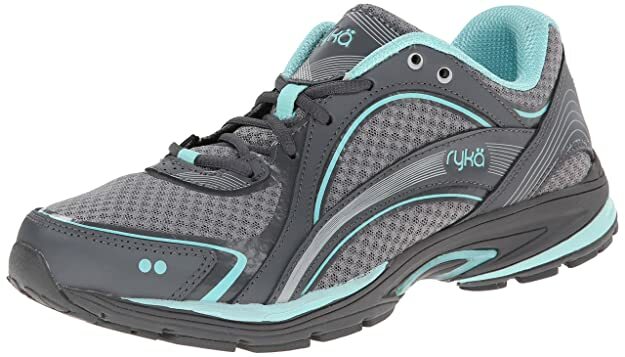 If you’re looking for the affordable and quality walking shoes to last, then you’re going to love the RYKA Sky Walking Shoe. It’s a simply-designed shoe that comes with various designs and colors ranging from dark to bright. But what I love most about the shoe is that it has that breathable mesh and leather overlays, which combines comfort and support. 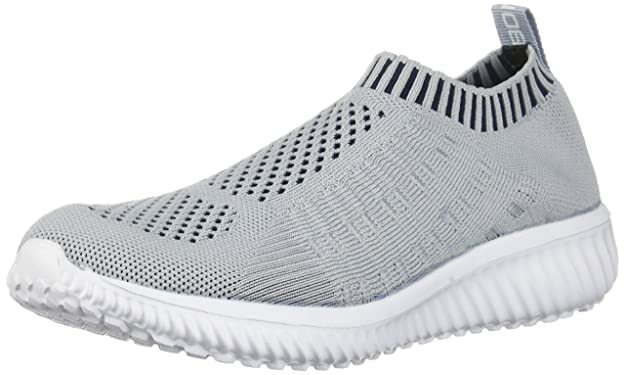 The sock liner is made of memory foam to accommodate the unique shape of your feet, also with the extra comfortable cushioning to walk for longer. Furthermore, it’s lightweight and made of the durable outsole, which is built to last with minimal wear and tear. I can see that though this shoe doesn’t have those frills and whatnot, it’s built to last and does the simple job in keeping you comfortable. Granted, you still feel a bit of toughness as you walk, but it’s still accommodating for its price. What Are Flat Feet Anyway? Before anything else, let’s first discuss what flat feet is and how it impacts the way we walk or run. If your arches inside your feet are flattened, then you may have flat feet. These have the soles of your get touch the floor when you stand or walk which can contribute to ankle or knee problems as it alters your leg alignment. But in general, this s a common and painless condition, though a bit uncomfortable to have especially when looking for shoes that accommodate your feet. There are usually no signs or symptoms with flat feet, though some might experience foot pain around the heel or arch area, worsening with more strenuous activity. Swelling might also happen around the inside of your ankles. Flat feet are normal in toddlers and infants because their feet arches haven’t been developed yet. Some people don’t develop these arches, which cause flat feet. Children who experience flat feet can outgrow it, though others don’t. It can also be caused by some injuries or simple wearing and tearing as you age. There are various risk factors that cause flat feet, such as obesity, aging, injuries, as well as various conditions like diabetes and arthritis. You’re probably wondering: Why bother getting the right walking shoes? Can’t I just use my usual running or casual shoes to walk around? For those with flat feet, you’ll be surprised as to how beneficial the right shoes are. The right shoes offer better landing, which lessens the crash and discomfort as you land on your feet. This is a great benefit for brisk walkers. Besides that, the right shoes offer better stability and support, which offers better contact when standing or fully meeting the ground. That way, you’re able to walk better regardless of how long or fast you walk. Walking shoes with flat feet offer better flexibility, which minimizes the force needed as you stride. That way, there’s more comfort as you push off and lift your feet, allowing you to walk with less discomfort and has you walk longer distances without your feet from feeling too heavy. Plus, less chance of injury around your shin with better flexibility. Quality shoes are made of adequate cushioning and breathable materials, which are made to help lessen the discomfort. That way as you walk, you won’t have as much trouble feeling any pain when landing on your feet, also keeping them breathing. Your feet are well-ventilated and it lessens the stuffiness and heat trapped inside, great for those who always have sweaty feet. Walking shoes usually have the snug fit that isn’t too tight, ensuring that your feet won’t squeeze from the shoes. Nor will it feel too loose to the point your ankles are out of the shoe behind. This also lessens pain and has you walk longer because of the improved comfort. What I love about quality walking shoes is that they come in the many colors and patterns to choose from! Also, most of these shoes have conventional designs, such as reflective lights and lightweight properties. With that being said, you look great as you walk and can wear it for casual outfits! It’s important to have the proper fit and get the shoes in your size, especially one with a wide toe box for your flat feet. Check out reviews to see if you’ll need to get a size smaller or bigger, depending on the produce and shoe model. Having a bit of wiggle room for your toes and getting the wide styles of shoes may help, too. Furthermore, I highly recommend getting lightweight shoes, which make walking easier with less weight to carry. Asides from support, your comfort is crucial to ensure that you feel better as you walk, whether you walk fast or long. That’s why I like shoes which have extra cushioning (which is still lightweight), as well as soft materials. It should also be made of the breathable materials to ensure your feet are well-ventilated. Of course, you should also focus on getting shoes that have an attractive design for you to enjoy. This will have you love wearing your shoes, wearing them during walks or even to show off! I also suggest you get shoes with reflective designs for night walks, keeping you safe. Last but not least, how much are you able to shell out for your walking shoes? While you shouldn’t scrimp on your shoes, avoid overspending on shoes with too many frills that you won’t need. Set the reasonable budget between $100 to $150 and base your search and the categories to consider from there. Should I Worry If I Have Flat Feet? No, flat feet is a common condition that can happen to many people. Like mentioned, it doesn’t cause pain but it CAN lead to a heightened risk of feet conditions, which is why correction and treatment is imperative. How Do Shoes Help With One’s Flat Feet? Shoes that have the extra-wide fit can provide relief and lessen the pressure. Those with added orthotics can also lessen the intensity of impact once you begin walking. Why Do We Have Flat Feet? How Will You Know If You Have Flat Feet? What Can I Do To Lessen the Discomfort? If you have flat feet, then it’s crucial to find the proper shoes to stay comfortable and for your feet to be free from pain. As long as you focus on comfort and safety, your feet will enjoy the endless walks and exercise you give it! All it takes is the right research and investment for you to enjoy. Of all the different shoes, I boiled it down to two shoes, each for men and women. 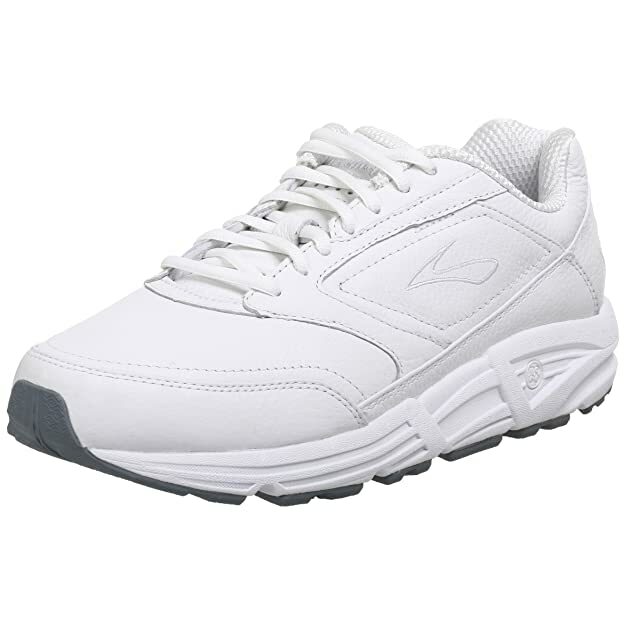 The best for males go to the Brooks Men’s Addiction Walker Shoes. The clean-cut style is what makes it amazing, as well as the ultra cushioning for better comfort and wide toe box to accommodate those with flat feet. 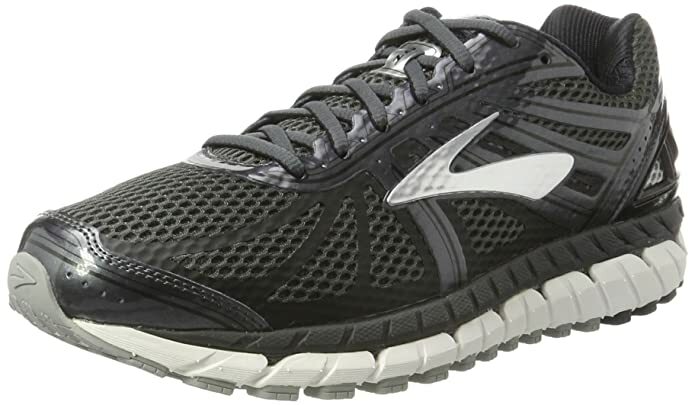 As for women’s, the Brooks Adrenaline GTS 18 is the best for me. It comes with vibrant colors and the stellar cushioning, which really helps with longer walks. Plus, it has good support that keeps you stable for walks, no matter how fast or slows. Both of these shoes offer the combination of comfort, aesthetic, and the affordable price those with flat feet will enjoy. Hopefully, this article on the best walking shoes for flat feet helped you out! So don’t wait any longer and start looking into any of these shoes now. If you have any questions or want to share your tips and reviews on these walking shoes, then comment below. I would love to hear what you have to think.